What better way to decorate a summer wedding than with metres of colourful bunting? 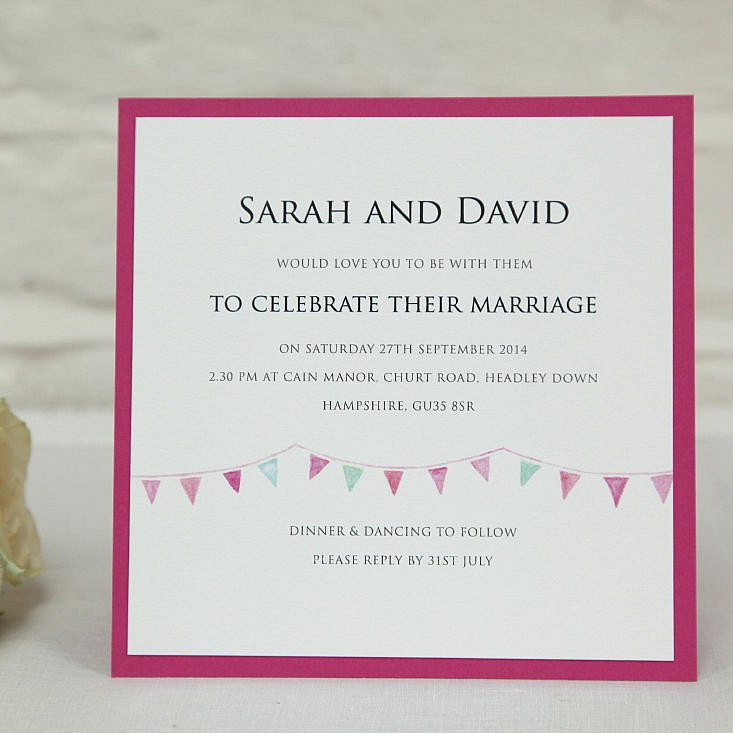 The Festoon wedding invitation conjures up images of village fetes full of happy people on warm, sunny days. Lots of spring and summer wedding receptions are held in big, beautiful marquees which are often festooned with perfectly hung, happy-go-lucky bunting. There’s something about bunting that finishes off a celebration and makes the atmosphere just that little bit more party like, and the same can certainly be said about this range of wedding stationery! The bright and energetic fuchsia hue adds a vibrant splash of colour, perfect for those of you who have a colourful personality and want something that will stand out from the crowd. Easily colour coordinated, you needn’t get in a hoo-ha over matching your invitations with your other wedding essentials. For flowers think pink roses and gerberas, or for something a little different, pink peonies and hydrangeas – all of which would look stunning in your bouquets and would match this wedding stationery perfectly. Printed onto 350gsm bridal white board and mounted on a layer of 350gsm coloured board, this invitation has been created in a layered postcard format that just oozes quality and style. 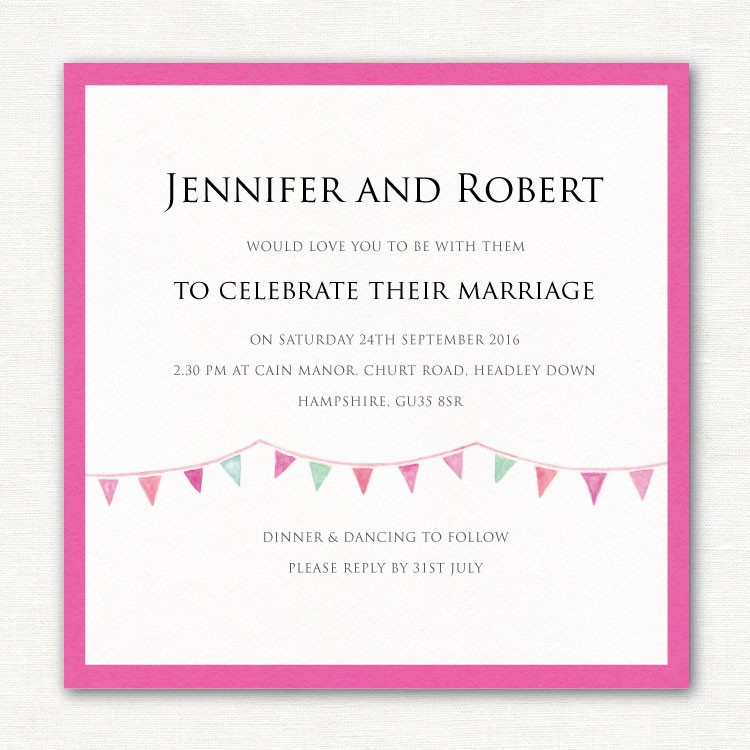 Your wedding details will be neatly printed in a modern font in the centre, with the bunting appearing about two thirds of the way down. We’re sure your guests will be put into a spring/summer wedding mood as soon as they set their eyes upon the happy colours and sweet row of bunting! Tags: Bright Pink, Bunting, Garden Party, Layered.